When you consider planning a meeting or event in northern California’s wine region, you’re probably picturing wide-open vineyards with rows of grapes somewhere near Napa Valley, but did you know you can access great wineries right in the heart of The Town? Oakland’s wine scene is unique and includes a collection of eight vintners known as the Oakland Urban Wine Trail. The wineries are housed in renovated warehouses spaces, and the wines are made with grapes from all over the state. 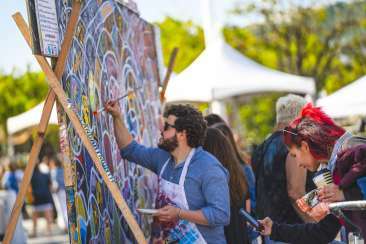 Why fight the hours of traffic trying to get a group to Napa, when you can plan meeting breaks, after-hours events and teambuilding activities at respected wineries within walking distance of your hotel? Here’s how to enjoy the Oakland Urban Wine Trail during your next meeting in Oakland, California. 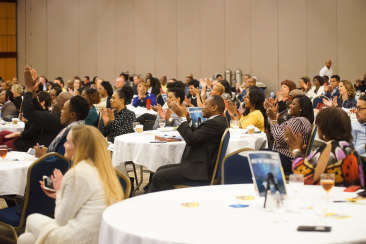 Chances are your breaks during a regular workday don’t include a glass of wine, but at your next meeting in Oakland, that doesn’t have to be the case. When the 3 p.m. slump hits, schedule a wine tasting at one of the nearby urban wineries for a quick pick-me-up. The wineries are all accessible via BART and Oakland’s free Broadway shuttle, so it’s easy to find one within a short distance from your meeting venue. For access to great wines and sunlight, book your meeting break at the sun-drenched Wine Garden at Dashe Cellars. 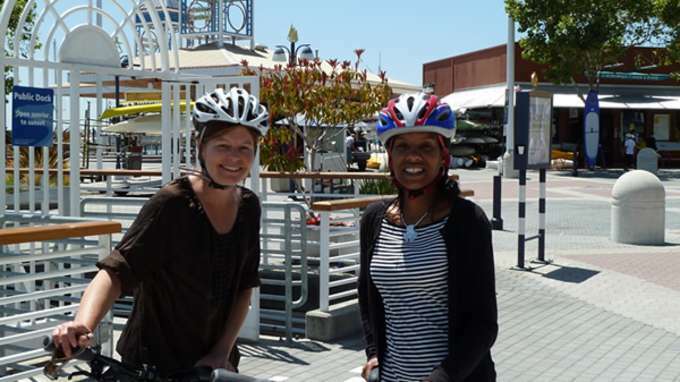 When it comes to teambuilding activities, instead of sitting around and drinking with colleagues, mix in some physical activity with the imbibing on an East Bay Winery Bike Tour. The five-hour tour visits three to four wineries for tastings and stops at a scenic spot in the city for a picnic lunch that’s included with the tour. You can even shop while at the wineries, and the tour leader will transport all your purchases back to the initial meeting spot. It’s a great way to bond with your team, get your heart rate up and discover the boutique wineries of Oakland. Actually networking while a conference is in session is difficult, so it’s crucial to plan social gatherings after the business day is over. The intimate and welcoming tasting rooms along the Oakland Urban Wine Trail are the perfect setting for making new connections and solidifying deals made during business hours. You can even turn following the wine trail into a game by creating artificial passports and instructing your attendees to collect stamps at each winery along the trail. 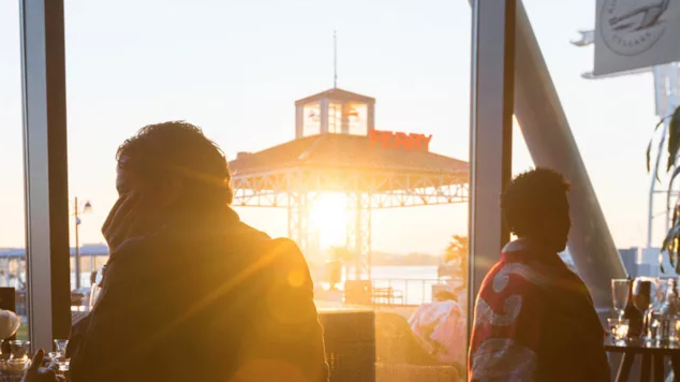 Not only will your group get to explore the unique wine scene in the heart of Oakland, they’ll also have fun with new friends and business associates in the process. Make sure to plan your stop at Rosenblum Cellars at sunset. The tasting room features oversized windows that overlook the Bay. For intimate gatherings, private cocktail hours and exclusive sit-down dinners, the Oakland Urban Wine Trail has you covered with multiple venues that can accompany a variety of group sizes. 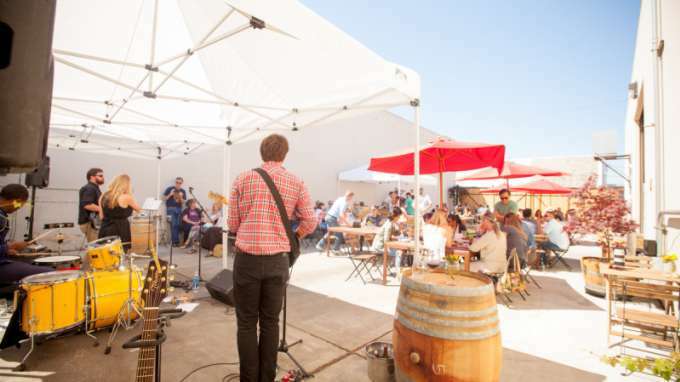 Campovida’s Oakland outpost, Taste of Place at Oakland, is a warm and exposed brick event space capable of seating up to 40 guests or 80 guests for standing events. 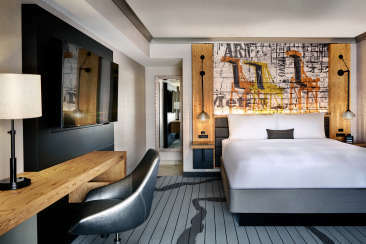 Or, try an edgier setting at Brooklyn West, which can accommodate up to 35 for a seated dinner and up to 65 for a cocktail party, meeting or gathering. The industrial space features a glass-roll-up garage door that gives the room an open, airy feel. 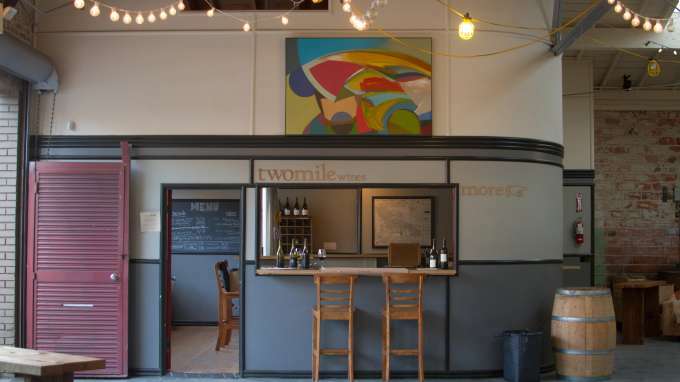 For larger gatherings, consider the event space at Two Mile Wines, which can hold up to 100 guests and is located within the winery/distillery/cidery complex; you’ll be able to sip wine in the same space it’s made. If you need a room for up to 350 people, host your event at Dashe Cellars. The entire venue, including the Tasting Room, Barrel Corner, Wine Garden and Barrel Room are up for rent. Nearly any mode of transportation will get you to Oakland. 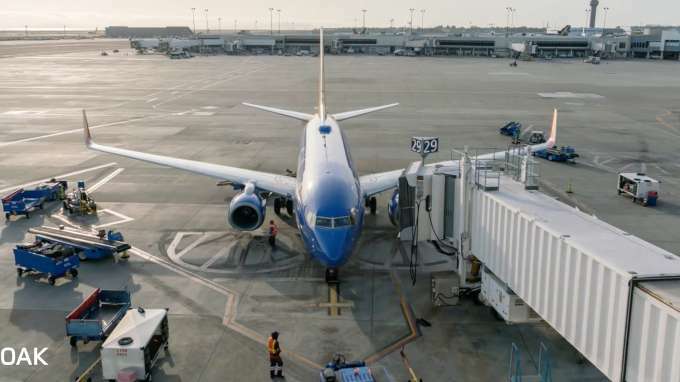 The Oakland International Airport is the second largest airport in the San Francisco Bay Area and offers more than 300 daily passenger flights with daily trips to Seattle, Los Angeles and Chicago. It’s also served by van shuttles, limousines, taxis, buses and the new BART to OAK train, so getting to downtown Oakland is a breeze. Oakland’s Amtrak stations serve multiple train routes, connecting to cities, such as Sacramento, California, Reno, Nevada and Bakersfield, California. 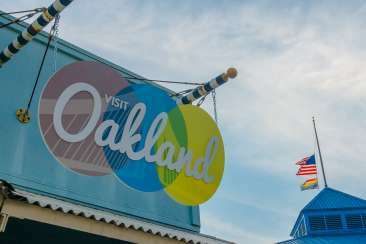 If you’re driving, Oakland is the hub of many of the Bay Area’s most commonly used interstate highways, providing a great base for exploring nearby cities such as San Francisco and Berkeley.